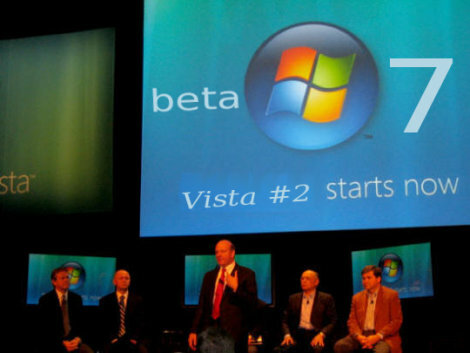 MICROSOFT MAY already know that Vista 7 will disappoint enterprise users and there are bad signs ahead of a distant release date. But one particular issue that we’ve been keeping track of is the serious security holes which may suggest that Vista 7 would be less secure than the already-insecure Windows Vista. “There’s no fix for this. It cannot be fixed. It’s a design problem,” Vipin Kumar said, explaining the software exploits the Windows 7 assumption that the boot process is safe from attack. Vista 7′s problems are not just to do with security however. One of our readers, DaemonFC, has already explained why Vista 7 will fail [1, 2] and another reader has just sent us this pointer to interpretation of Microsoft’s latest publicity stunt. When things are really screwed up in public or corporate affairs, when your products cause the death of little cute babies you make a harmless girl your corporate spokesperson on an issue who makes a pretty face. This Larson-Smith campaign is like Swanlake in Russian television. I didn’t knew that Windows 7 was expected to become a real mess. “Rumour has it Larson-Green is already working on Windows 8, but she’s obviously also still tweaking the user experience in Windows 7″. You see what I mean? Why do you write it so diplomatic? Larson-Green is the Sarah Palin of Microsoft. McCain learned his lesson, sorry, this is not 1997. Microsoft marketing people became all PC but “We are the Internet”, and we are not your fools. Adapt or die. I don’t care. Interesting article that loses all credibility with a truly obnoxious argument about Larson-Green, no wonder we can’t get women into computing. Looks like a boot-time rootkit. Does Linux’s boot process have the same design problem? Linux’s most common bootloaders are LILO and GRUB. BTW, the server version of Windows 7 is called Server 2008 R2.